The 2016 Rose Festival offers our visitors many ways to actively participate in events offered throughout the weekend. We would love to see you compete in one of the many activities available and make your experience that much more immersive! Please visit the respective link(s) under the “Competitions & How to Enter” menu for the details on how to: sign up for the 5k Run/Walk, score a team in the “Bags” tournament, enter in the car show, sign up you or your business for the chili cook-off competition, have an entry in the Grand Parade, enter a beautiful, handmade quilt, or participate in the truck and tractor pull. 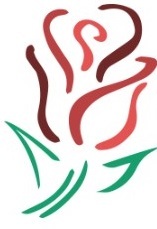 Thank you for helping make our beloved Rose Festival a success and sharing your passion with all of our visitors!